Nice antenna on top !!! f35phixer wrote: Nice antenna on top !!! Not surprising. I still see CGI today that has combinations of the antenna, air data probe, and mixtures of refueling methods on the wrong version. I understand the F-35 "paint" has stealth properties (e.g. 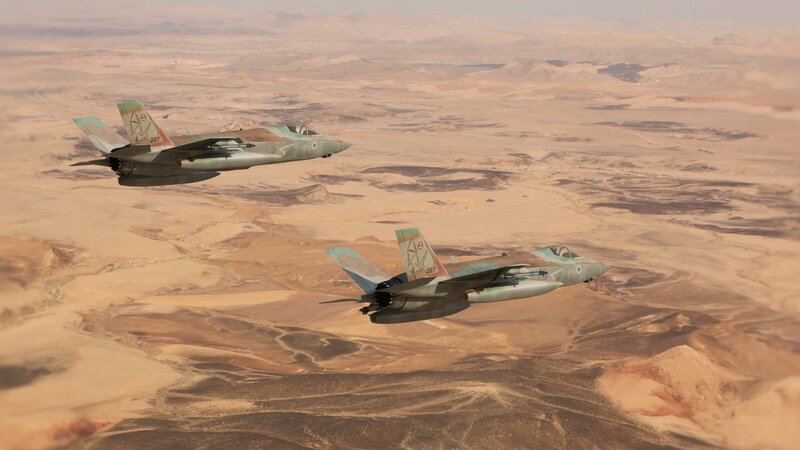 iron ferrite "balls" and/or other magic pixie dust), but is there any reason a user such as Israel could not apply "standard" camo paint to their F-35's as delivered? Or would doing so "void the warranty"? steve2267 wrote: I understand the F-35 "paint" has stealth properties (e.g. iron ferrite "balls" and/or other magic pixie dust), but is there any reason a user such as Israel could not apply "standard" camo paint to their F-35's as delivered? Or would doing so "void the warranty"? It would mess up the stealth properties to a degree. RAM coating... fit and finish needs to be very specific. Coloured paints generally use metal compounds and metal oxides to achieve their colours (titanium dioxide, iron oxide, chromium oxide, etc), and while they're not necessarily as conductive / reflective as their base metals, they are still some amount conductive / reflective, increasing the RCS of the jet. I think you will find that the ram is in the skin. The coatings are for IR and visual. Someone knows more than me about it. I'm going by what I read.